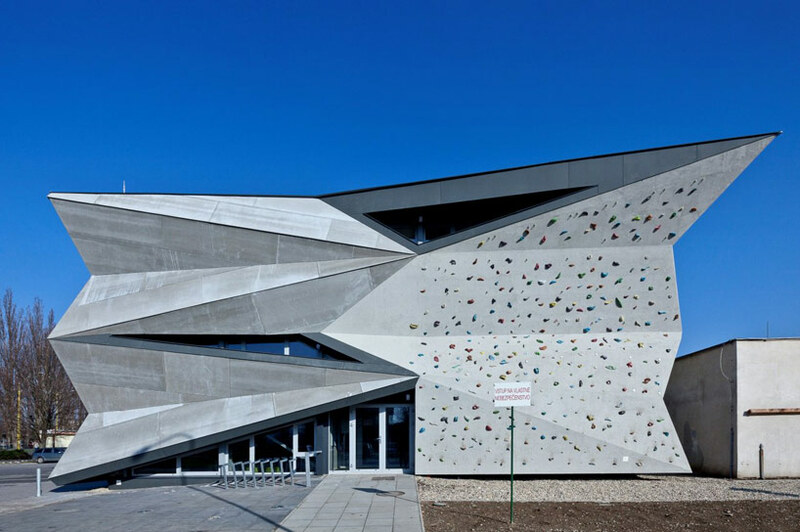 the transformation of this heat exchanger into a culture and sports center by slovakian firm atrium studio was part of a project for the EHMK 2013, the european capital of culture. 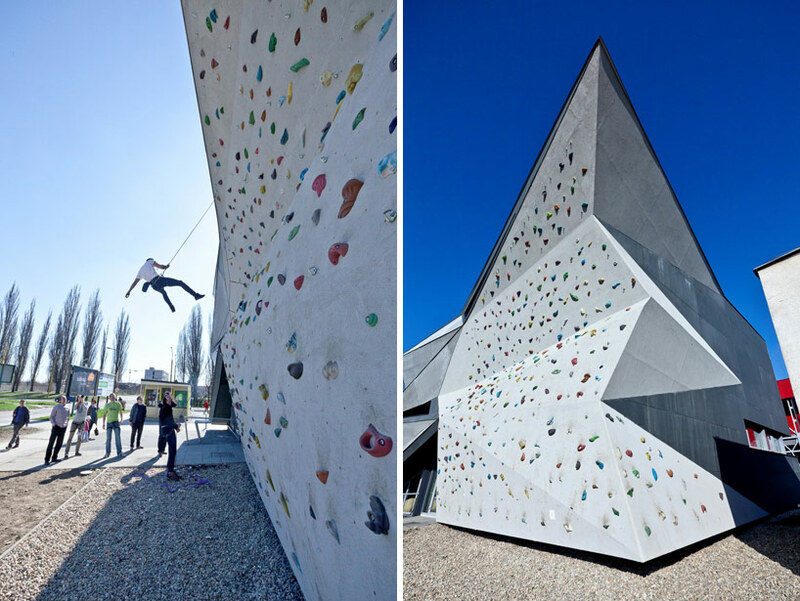 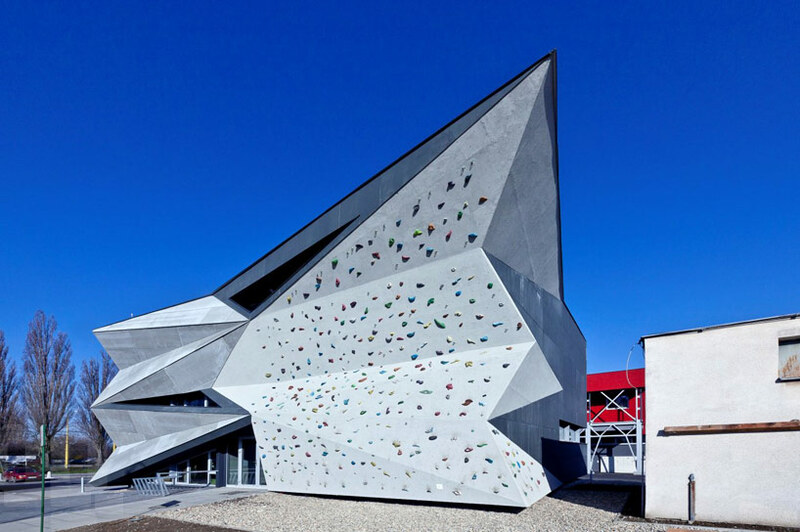 located in the residential district of nad jazerom, slovakia, the angular exterior form extends the building out into the public space, with a dramatic climbing wall feature. 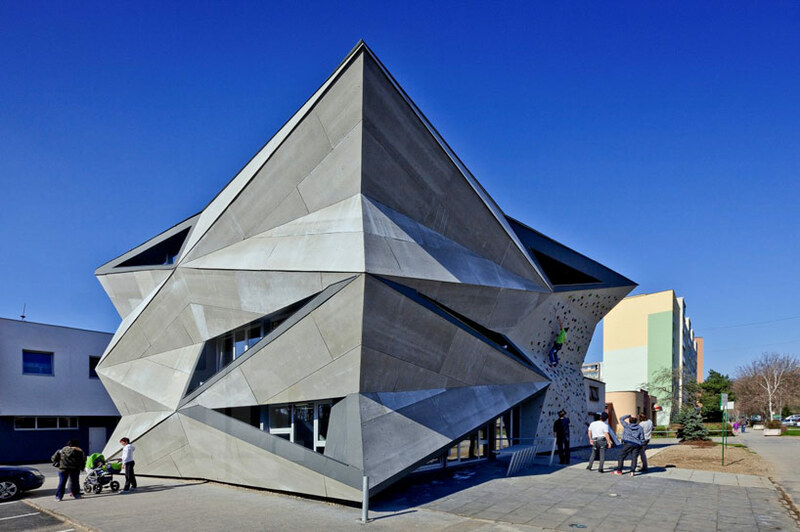 the exchanger center has five different interconnected floors that have all been turned into gallery spaces – each fulfilling a different function. 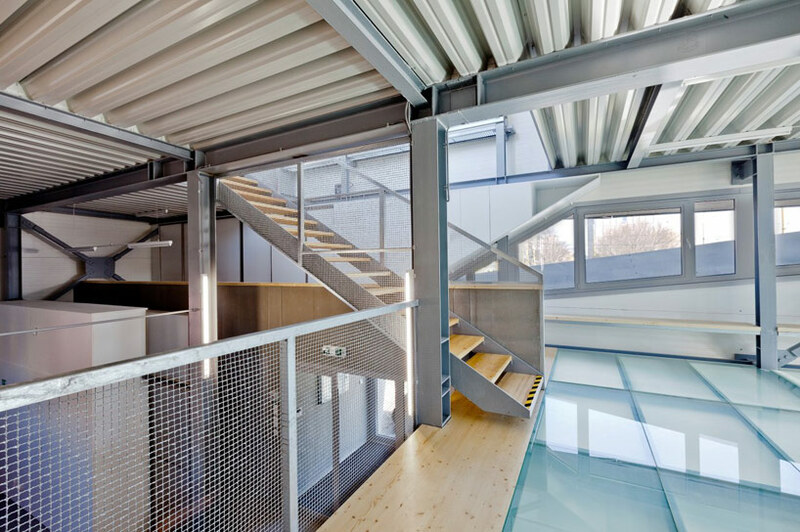 a secluded rooftop consists of four trees and a large lounge area, which provides a space for visitors to relax in. 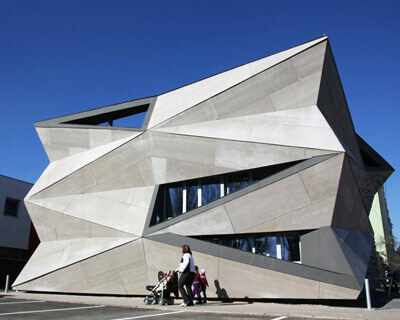 the structure stands out within its surrounding context of industrial-type buildings. 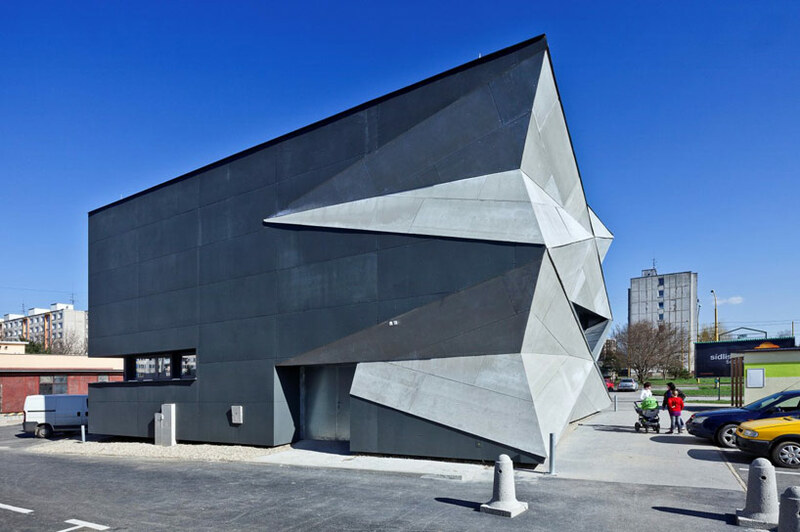 the existing heat exchanger was wrapped with a bold geometric facade – the folded triangular shapes define the building’s exterior. 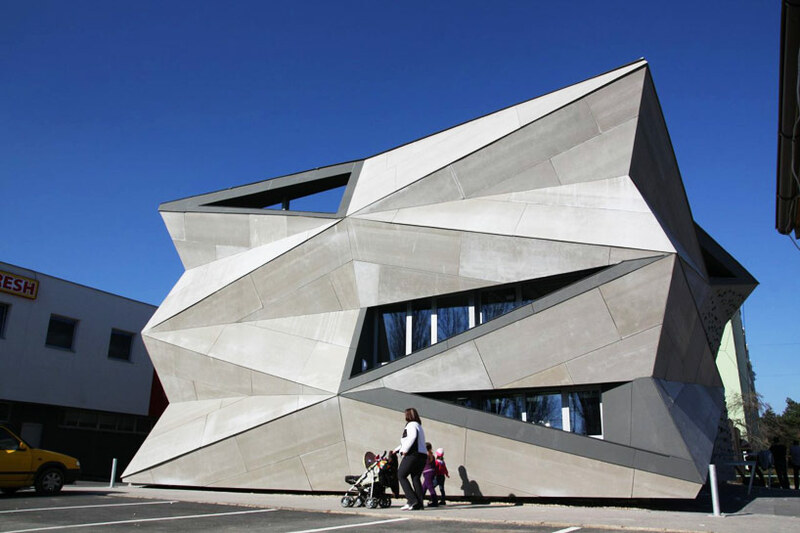 cut out pieces of the twisted volume expose slanted view shafts of the interior windows, helping to express the new transformation.